As one of the surgeons on the E! Entertainment Television show Botched and on his newest show, Botched By Nature, Dr. Dubrow explores the ways in which plastic surgery can revolutionize a person’s life. As one of the leading plastic and reconstructive surgeons in America, Dr. Dubrow has prided himself on being the best of the best in his field. In addition to his multiple successful television shows, Dr. Dubrow still strives to be an innovator and educator. He has over 30 papers published in surgical journals and co-authored The Acne Cure, which outlines the revolutionary skin care treatments that have helped clear the complexions of numerous high-profile people. Dr. Dubrow is board certified by the American Board of Plastic Surgery and is a Fellow of the American College of Surgeons. Starting with his 2004 hit tv show, The Swan, all the way to his current hit, Botched By Nature, Dr. Dubrow has brought the dramatic results of quality plastic surgery to the forefront of the media’s attention. Botched help confirm Dr. Dubrow’s reputation as a leading revision surgeon, and Botched By Nature highlights the ability of plastic surgery to transform patients that have been affected by genetics, trauma, or accidents. Dr. Dubrow is a reoccurring guest on The Dr. Oz Show, where he imparts his knowledge and know-how of plastic surgery. If you ever need confirmation that a surgeon can provide the jaw-dropping result you desire, all you have to do is turn on your tv. Which of the hippest, hottest, and newest are fabulously effective and which are nothing more than new-age snake oil? Let us be your guides. Dr. and Mrs. Guinea Pig Present The Only Guide You'll Ever Need to the Best Anti-Aging Treatments will outline all the best techniques and treatments, and provide you with the information and research you need to create your own, unique anti-aging plan to look and feel your best – forever! We may not be able to halt the aging process, but we can slow it down and target some of its indicators. At our medical spa, Dr. Dubrow performs an array of non-surgical treatments designed to restore a person’s youth and improve the appearance of their skin. He has helped men and women of all skin types achieve beautiful, healthy skin with customizable treatment plans. Take a revolutionary approach to anti-aging with Consult Beaute – an internal, external system from renowned plastic surgeon and E! 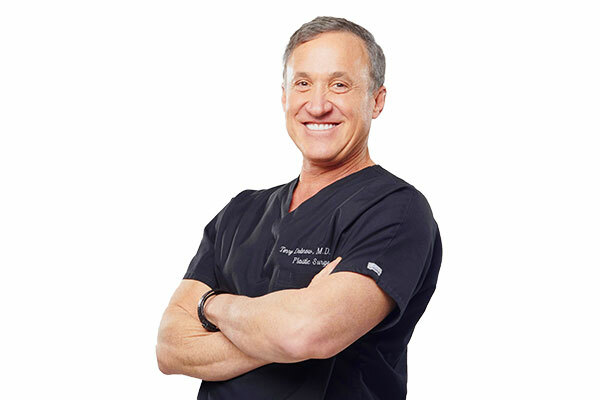 Television personality, Dr. Terry Dubrow.